For the past couple of days, we've been sitting on the edge of our seats desperately trying to figure out why Harriet has so many issues with her own parents. The Queen character literally cannot stand her elderly parents who have suddenly wormed themselves back into her life after they allegedly had their home burned to the ground. 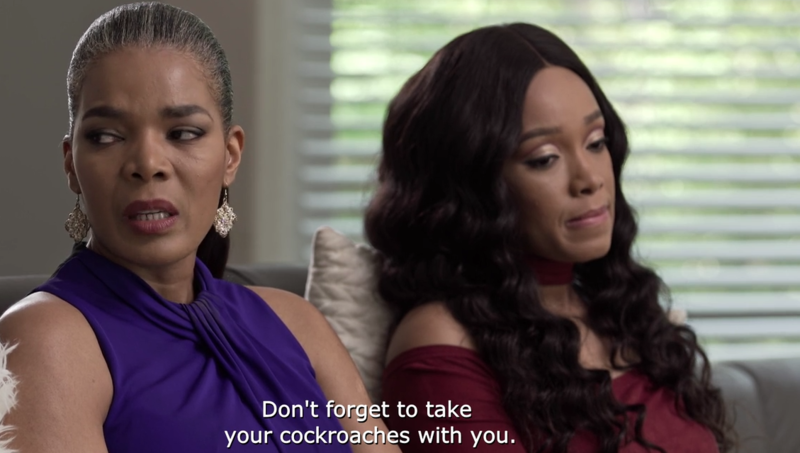 Kea and Kagiso who were more than pleased to have their grandparents live with them for a couple of days were shocked to witness how hostile their mother has been towards her own flesh and blood. And to be honest, we've also had never seen Harriet this angry before. Well, apart from the time when Kamina was still around. 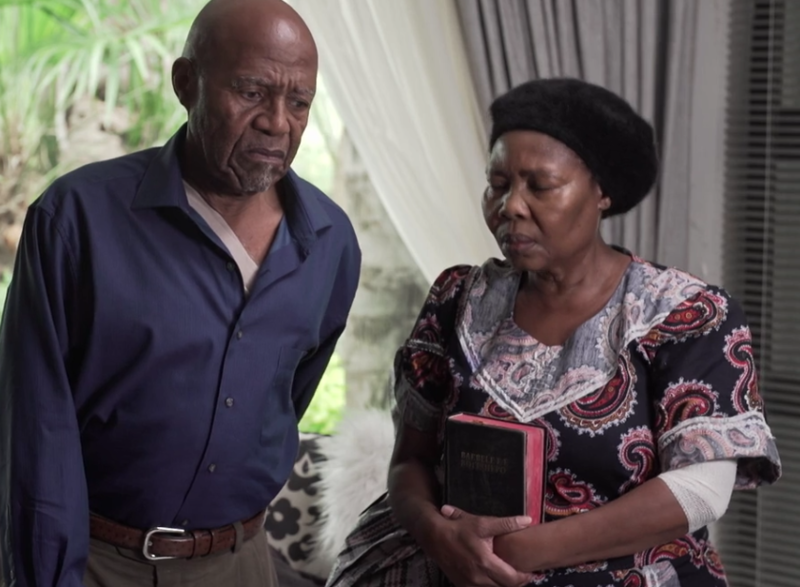 For the past couple of days, the family has been trying to figure out what Harriet's parents could've done to make her resent them so much, but the queen mother has not been able to articulate her issues to the rest of the family until last night. Harriet's mom eventually told the family that they were leaving and have found a place to live. Harriet was more than pleased about the news and reminded them to also leave with their cockroaches. In a war of words, Harriet and her mother went back and forth about their past, which eventually lead to why Harriet has not seen her parents for the past fifteen years. We quickly came to learn that Harriet resented her parents, especially her mother for choosing her mother (Harriet's gran) over a man. What also made Harriet angrier was the fact that her mother had buried her grandmother in a cheap coffin, even after Harriet gave her money to bury her beloved grandmother in a casket. 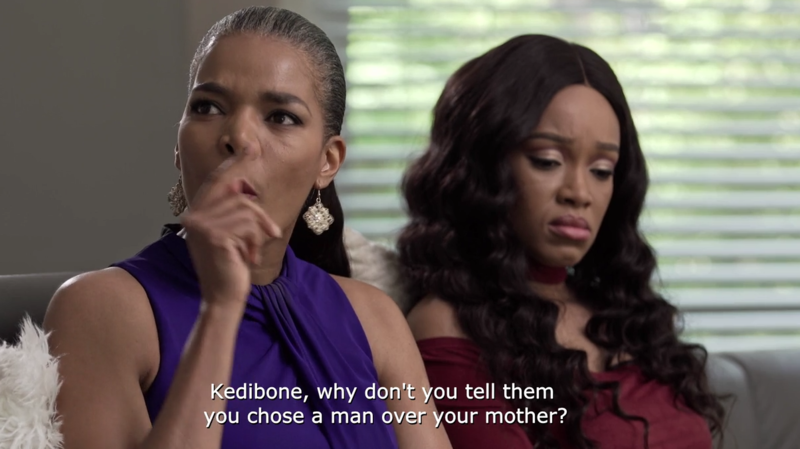 Kedibone (Harriet's mother) could not understand why she was so angry about a cheap coffin and told Harriet that when a person is dead, they no longer care what they're buried in. Wow! 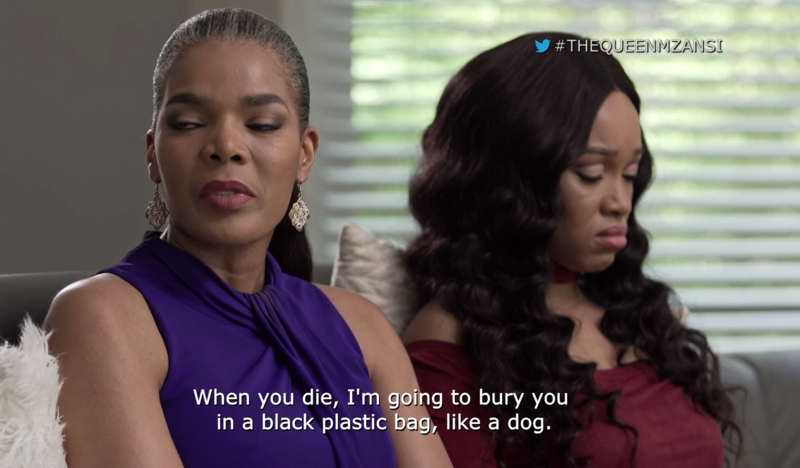 Imagine telling your mom you're going to bury her in a black plastic bag. 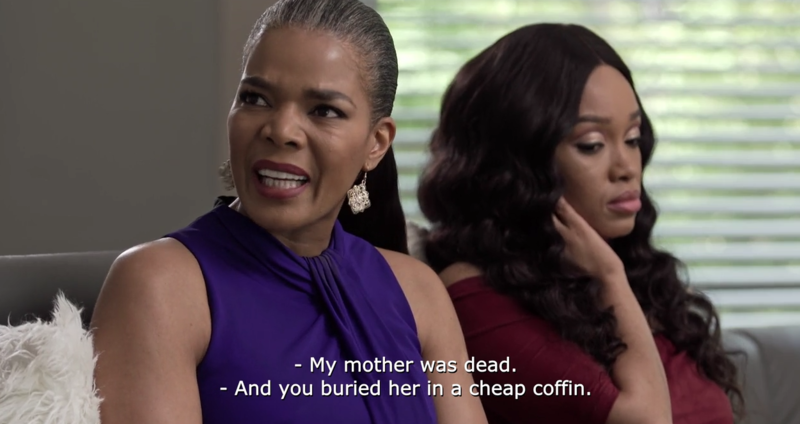 But surely her anger towards her parents goes way deeper than just the issue of the cheap casket. There is more to this story, and we can't wait to see everything unravel.